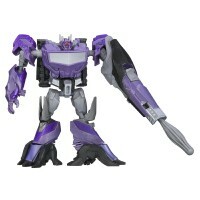 Kmart.com has listed Transformers Prime Beast Hunters Cyberverse Commanders Shockwave and Starscream with some new official images. Both are listed at $8.54. Check out the images below. Seeing his feet clearly, it looks like Shockwave could be some kinda tentacle-foot plant monster ala Little Shop of Horrors. Damn can't even find Hardshell in my area. DO NOT ORDER FROM KMART.COM. There's a good chance they'll just send you a random figure instead of the one you ordered. GuyIncognito wrote: DO NOT ORDER FROM KMART.COM. There's a good chance they'll just send you a random figure instead of the one you ordered. That happened to me when I ordered a figure from Target. They sent the wrong one and when I sent it back, they said they never received it. *Compares BH Starscream with her PRiD Starscream* Yup, retool. Starscream kinda reminds me of an Aerialbot, colorwise. I need that shockwave like really bad. Who doesn't want a cute little shockwave?? At least he's not deformed. jamiko wrote: Where is Starscream's face? Oh, hey there, Terrorsaur! How's it going? Long time, no see! Yeah this happened to me because they ship the stuff from the stores. Thanks for reminding me, I almost went for these. You could pretend he's Ramjet. I LOVE that Shockwave! That's a defenitive buy. 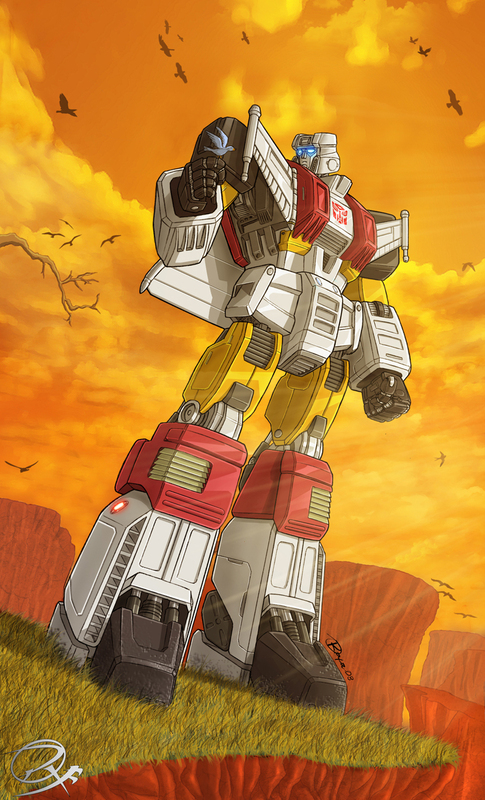 However, even as a Starscream fan, I wonder what the hell is that thing. It dont look anything like Starscream. More like a drone than anything else. -Kanrabat- wrote: It dont look anything like Starscream. More like a drone than anything else. Actually, it looks like G1 Silverbolt with more red. Which is why I might re-purpose him. I REFUSE to shop from a retail K-Mart ever again. Toys missing from their packaging, kids from all over taking boxes and putting different toys inside the packages they stole from, opened up packages, never restocking their stuff, and $18.95 FOR A DELUXE CLASS FIGURE!! I paid lower prices for a voyager!!! With a classic-ish head-swap I guess? 4,618 pages were recently viewed by 696 unique visitors. This page was viewed 1 times on Friday, April 19th 2019 7:25am CDT. © 2019 Seibertron, Inc. DBA Seibertron.com. All Rights Reserved. Established June 2000. Seibertron.com is owned by Ryan Yzquierdo.